Follow these simple steps for how to make pumpkin puree to use in your favorite pumpkin recipes. Made from fresh pumpkin and much healthier than the canned version. Easy to make from scratch. Making homemade pumpkin puree is simple and can be added to your favorite recipes that call for pumpkin. Fresh Pumpkins are a yummy and tasting alternative to canned pumpkin. Tis the season to be baking and cooking with pumpkin. Most stay away from preparing it themselves because of the so-called difficulty level. While it is easy to buy canned pumpkin, the taste of fresh pureed pumpkin is sweeter, more delicate. Plus, it’s super easy to make so why not give it a try, right? Just so it is not a shock, fresh pumpkin puree is much lighter color then canned. It is also not as dense. Keep in mind that you can not process pumpkin using the canning method for safety reasons. 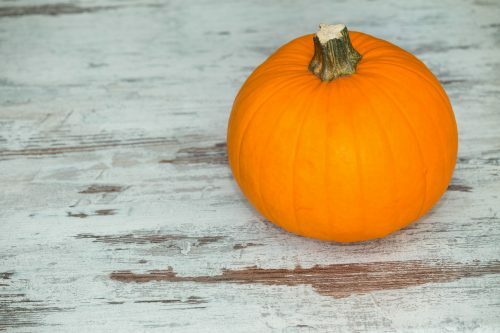 The safest way to save your pumpkin is to cut into chunks and freeze. After it is defrosted I place in my food processor and puree for recipes. It has been said that the meat of larger pumpkins is better suited for soups & stews, I personally use it all my recipes and have not noticed a significant difference. I will highlight the steps for you. If scroll down to the bottom of this post you can print the steps as well. Making pumpkin puree requires only one ingredient. Your handpicked pumpkin. It does take a while to cook, but I find it the easiest. Walk away and come back to preparing. Next rinse/wash the pumpkin under cold water. Ensure all dirt or debris is removed from the outside and wipe dry with paper towels. Cut the pumpkin in half. Remove the pulp and the seeds by scraping the insides with a metal spoon. Put the two halves cut side down in a roasting pan or a casserole dish. Add enough water to cover the first 1/4 inch of pumpkin. Cook for about 90 minutes or until the pumpkin flesh is tender enough to pierce with a knife. After you have scooped out your pumpkin, then you can place in a food processor until completely pureed. And there you have it – easy peasy homemade pumpkin puree.